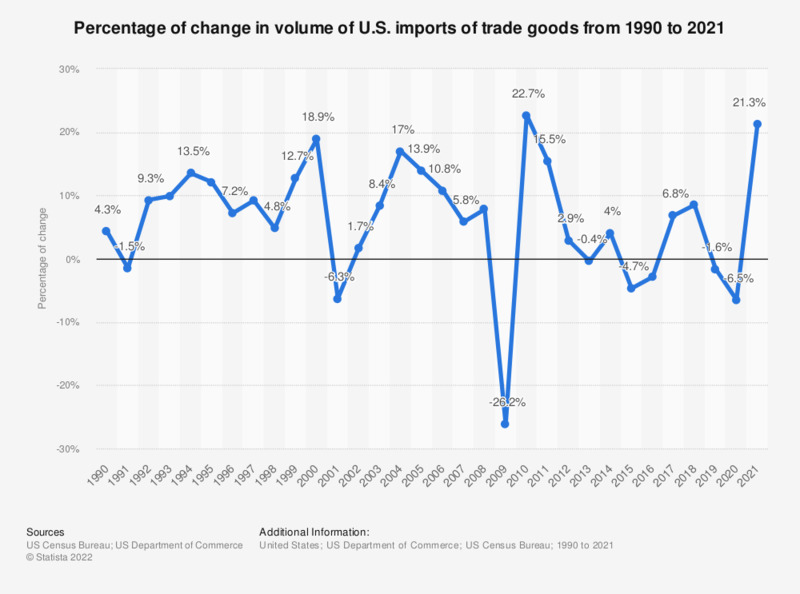 This graph shows the percentage of change in the U.S. imports volume of trade goods from 1990 to 2018. In 2018, U.S. imports increased by 8.6 percent than the previous year. Data are based on the Balance of Payment basis released by the BEA.